Looking for the very best deal on your lodging for your upcoming Disney World vacation…you have come to the right place. Put in your dates of travel in the box to the left. Click on the button marked "Show me the rates" and we will offer you the very best and most attractive wholesale rates found in Orlando and Kissimmee. 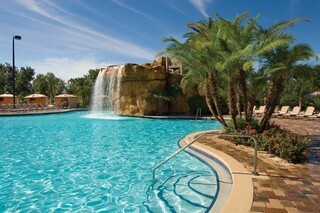 We are proud to offer the Mystic Dunes Resort for $92 a night for most of May. The Mystic Dunes Resorts offers a two bedroom/two bath condo complete with a full kitchen, three huge flat screen TV's, granite counter tops, and a Jacuzzi tub in the master bedroom area. The resort is located less than 2 miles to Disney World, and it has 4 pools (one with a grand water slide), a huge clubhouse, golf course, and plenty of activities for everyone in your family. Finding the absolute right property for you and your family can be a chore. There are more hotels in the Orlando market than any other family destination in the world. How can we be assured that we are offering the lowest rates? We partner with many Orlando hotels to offer wholesale rates for the vacant rooms they have. All hotels, even the four and five star establishments have some vacancy even during the highest of high seasons. Of course the vacancy won't be much…but with so many hotels in the marketplace, there will be vacancy. If you are looking for low nightly rates and your travel dates are when the kids are out of school, the one piece of advice you need to take is to book early. Disney World flourishes when kids are out of school. Occupancy rates sky rocket during Christmas, Easter, Spring Break and the summer vacation months. We have a number of res agents that have been trained in every facet of helping you with lodging and attraction tickets. They are a great resource and one that is available to you by just calling the toll free number above. You have a question…these ladies have the answer…call them. Are you looking for more space in Orlando than the cramped quarters of a hotel room? You may want to try something different to spice up the vacation? Why not consider a vacation home with your own private pool or maybe a three bedroom town home with a water park? Our wholesale nightly rates are extremely attractive and with over 400 private pool homes, condos, town homes and villas, we have what you want. Put in your dates of travel in the box to the left, and let us show you the myriad of options available. Our goal is not to work with every hotel in Orlando or the Disney World area. We are simply a boutique shop, and we work hard every day with our partnered hotels to offer you outstanding accommodations at attractive wholesale rates. Remember, every hotel is backed by our 100% satisfaction guarantee. You find something you don't like, take it to the front desk, and they will make it right. 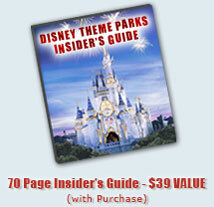 We continually keep our Orlando vacation travelers updated with the latest news and information about Orlando. You can visit our Orlando Hotels Info Page to be kept up to speed on news regarding hotels in Orlando and you can also read travel related articles on our Orlando Travel Blog. Here are our latest posts.